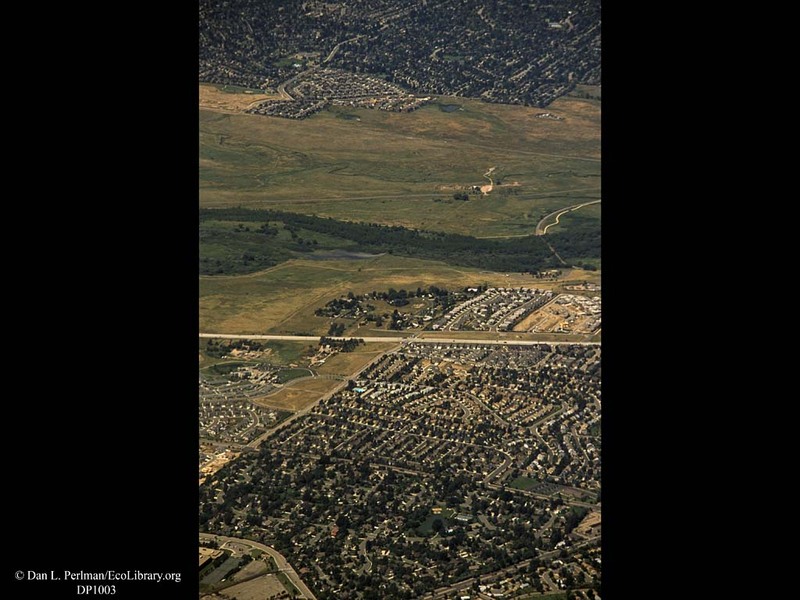 Urbanization closing in on a river, from two sides, Western USA. There appears to be a river in the center of this image, marked by a slender ribbon of riparian forest. Two fronts of urbanization seem to be advancing across the landscape toward the river, covering the existing grassland with a carpet of houses and roads.